Debbie Mayo-Smith: Did Steve Jobs ruin your business? 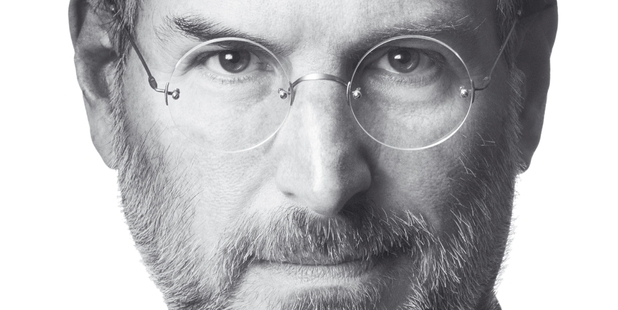 You are here: Home / Uncategorized / Debbie Mayo-Smith: Did Steve Jobs ruin your business? Another speaking engagement. A new industry. A buying group of Independent Australian Pet Shops. Though my recommendations on creating a more successful retail business are based on the research done with the pet industry – it’s relevant to many, many retail stores because in reality – it’s simply the product(s) for sale that differ. Steve Jobs, through his beginning influence on putting mobility in people’s hands, changed their business forever. Everything that a pet store offers now can be purchased online or elsewhere. Food, gear, accessories, health items, even the animals themselves and advice they offer can easily be gotten online. Petfood, which constitutes 90 per cent of the total spend on pets. Buy it online (the more expensive brands), at the vets or alternative choices at the supermarket. Any pet store that has an online shop can vie nationally with others because of the ease of shipping. Throw in free shipping and anyone in Dunedin for example can buy flea treatment from an Auckland pet store. Or a Christchurch one. Or a Whangarei one. Distance doesn’t matter – it comes down to price and with many throwing in free shipping over a certain spend – loyalty falls out the window. The next attack is the online stores, for example www.pet.co.nz. With their lower overheads they can offer cheaper prices and swift shipping. Another frontal attack – www.trademe.co.nz. Beds, Chihuahuas, aquariums, leashes. New and used. You name it you can find it. Advice – an important domain of the experts running the pet shops – is again a commodity with everyone asking their best friend “Mr G” first. Mr G is of course, Google. Therefore I think beyond a doubt that pet stores now deal in a commodity and have to do something to keep their customers and grow new ones. Though their customers love, love, love their animals – who isn’t very busy today. Visiting pet stores has a price in time and energy for the customer. If you are involved in a business that has been effected by the internet and online shopping, the advice I gave to the pet store owners is equally relevant for you – just tweak to what you are selling. Five point plan to fight the dilemma of not being the single source any more. By the way – everyone had an online shop. Otherwise this would be the very first point. Keeping a database and using it to communicate regularly with customers and prospects is mandatory. Never let anyone go, and send regular emails to stay in touch, sell, educate, add value. Along with regular educational, content communications, with an information rich database, they can use it to stimulate demand and create sales. Have you read my Andy and Iain article about cross marketing and raising the dead? You’ll find it here. It’s impossible to get more than posting to an empty room in Facebook. Even sites with 30,000 likes have less than 3 per cent of reach of their posts. The only way to make it work is to be vigorously proactive and put their armies of customers to work. But even then, with mostly kids sharing cute pet pictures will all that work translate into dollars? Last but not least, is the magic of time savings that can be accomplished by using everyday business tools better. For example embedding a google calendar on their website showing what events and activities are happening in-store. Smartphones for photos, photos, photos of animals coming into store and then posting. Rules to manage emails – separating out orders, website enquiries, automatically responding and even more. Using voice recognition on smartphones to send sms, write emails. The possibilities are endless. Written by Debbie Mayo-Smith, One of New Zealand’s most in-demand speakers, trainers and bestselling authors. Debbie works with companies that want more effective staff. For more tips and business ideas sign up for her free monthly newsletter.